Desert Modernism became a style all its own as renowned architects adapted the International Style to the desert’s warm climate and arid terrain, creating an elegant yet informal quality. Desert Modern residences tend to have post-and-beam construction, open floor-plans, glass walls that connect indoors to outdoors, and are designed on a more human scale, often integrating organic shapes, bold colors, and playful designs. 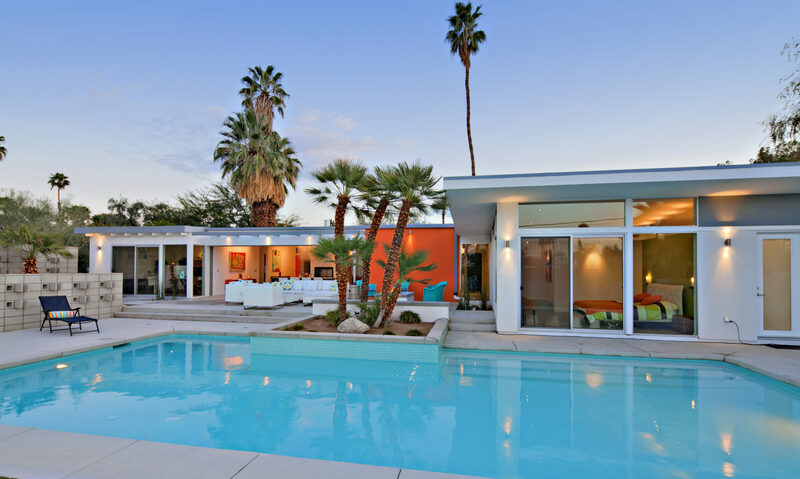 A revival of appreciation for Desert Modernism has sparked forming historic districts in the City of Palm Springs and environs to preserve these distinctive neighborhoods and enclaves that are defined as much by their architectural significance as cultural reference. Historic districts are “areas or neighborhoods in which historic buildings or residences, and their surrounding characteristics or settings, are identified by historical association or architectural quality as significant to the city’s heritage and cultural fabric,” according to the City of Palm Springs Historic District FAQ definition. Historic districts not only preserve the inherent richness and personality in an area, but connects the past to the present and provides continuity into the future. Property values increase and ensures that architectural standards are maintained or restored. “Studies show that property values in protected historic districts tend to be higher than comparable neighborhoods without such standards,” according to the city’s Historic District FAQ. 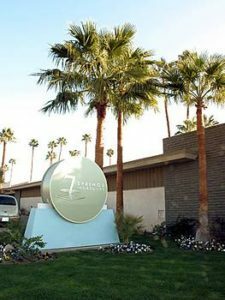 A compilation of distinct Palm Springs neighborhoods — not all are historic districts — may be found online at www.palmspringsneighborhoods.com. Pride and sense of place are now finding expression through the Palm Springs Neighborhood Initiative Committee which is encouraging homeowner association to place neighborhood name plates throughout the City. Each individual neighborhood association designs, produces and installs their own signs. The first signs went up in the El Mirador and Movie Colony in 2008 as part of the pilot program. Reflecting Palm Springs rich, layered history, most neighborhoods have a mix of architectural styles from California ranch style, Spanish revival, adobe and walled estates, to Mid Century modern, although many are predominantly Desert Modernism style. In 2010, grants from the Palm Springs Preservation Foundation paid to replace the missing architectural elements. Relying heavily on 1960s-era photographs and consulting Wexler on the project, o2 Architecture captured the scale and proportions of the apex to restore the original architectural design to the homes. www.pspreservationfoundation.org/royal_hawaiian.html. Architectural tourism has become a huge draw for the Palm Springs area and historic districts are important for preserving the wealth of architecture the area has to offer.